SPOOKED TV NEWS: Trick Or Treat Live Radio Interview with the Booth Brothers. 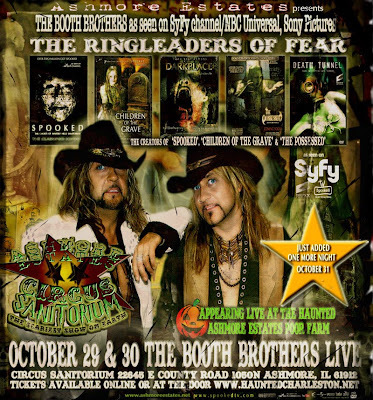 By popular demand, third night added, October 31, Booth Brothers at the haunted Ashmore Estates Poor Farm in Illinois. SPOOKED TV NEWS: By popular demand - third night added, October 31, Booth Brothers at the haunted Ashmore Estates Poor Farm in Illinois. THE HAUNTED BOY: THE HAUNTED BOY, The Secret Diary Of 'The Exorcist'. First look at American Film Market. 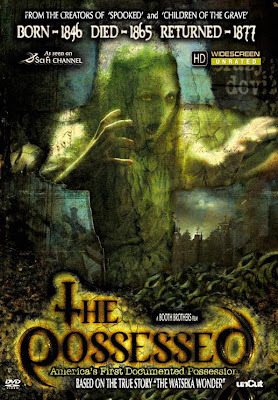 THE POSSESSED, now see what SyFy could not show you. The Possessed-Uncut Now on DVD. Order Online at www.spookedtv.com. 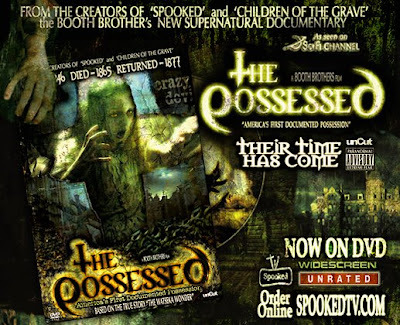 The Possessed DVD features over 60 minutes more of bonus footage, not seen on television, Interactive full motion DVD menus, Producer's Video Diary, Galleries, Alternate and Deleted Scenes, On location in Watseka and much more. 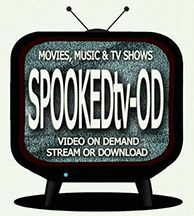 Order online at at http://www.spookedtv.com. Best Price, ships within 24 hours. Fast , safe and secure. 100% satisfaction guaranteed. From the creators of ‘SPOOKED’ and ‘CHILDREN OF THE GRAVE’ (As seen on Sci Fi Channel). THE POSSESSED - NOW ON DVD (Uncut), See what SyFy could not show you! (Spooked Television Releasing) Horror Documentary, Not Rated,WARNING: Contains disturbing images of real possession! May not be suitable for all audiences. Approx. 90 minutes, Stereo, Color, Filmed and Mastered in High Definition, WideScreen. DVD Features, Over 60 minutes more of bonus footage, not seen on television, Interactive full motion DVD menus, Producer's Video Diary, Galleries, Alternate and Deleted Scenes, On location in Watseka and much more. Synopsis: The belief in possession by evil spirits plagued the 18th century. Madness and hysteria spread classifying the mentally ill as “Being under the control of the Devil”. These sad misfits became the victims of bizarre exorcisms or “Casting Out Rituals”. Banished from society they were locked away inside brutal asylums and branded, “The Possessed”! Based on the True Story, “The Watseka Wonder”, America's first documented possession of 1877. 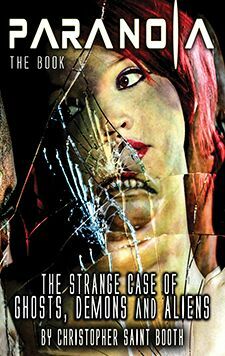 A chilling journal of a 13-year-old girl from the small town of Watseka, IL who became possessed by spirits of the insane dead! A terrifying journey into the world of the supernatural as we witness first hand, True cases of possession as told by the victims themselves. Filmed on location at the actual haunted houses and insane asylums of “ The Possessed”. WARNING: Contains disturbing images of real possession! May not be suitable for all audiences. Available on DVD Online at www.Spooked TV.com, Amazon.com and Target.com. TO PURCHASE, CLICK ON THE BUY BUTTON (right side of page) AND ORDER TODAY AT THE BEST PRICE * PAYPAL CERTIFIED SAFE & SECURE. 100% SATISFACTION GUARANTEED. Copyright © MMIX Spooked Productions. All Rights Reserved. INTERVIEWS:Darkness Radio:ave talks with Christopher Saint Booth about the paranormal and his documentaries such as Spooked, Children of the Grave and The Possessed. REVIEWS: WHAT PEOPLE ARE SAYING ABOUT THE POSSESSED! Just finished watching The Possessed and all I can say is WOW! This was the Booth Brothers at their best! It was fantastic. There are moments that are truly chilling, emotionally disturbing, and at a few points I had tears in my eyes. This is never an easy subject to talk about or even try to fully understand. You guys were right on point throughout the entire film.There were times when I fully forgot that I was watching a documentary. The camera work was outstanding! The score was amazing! Thank you from those of us who lived through these things that are so very hard to explain. This was a tribute to all that have lived through dark days and a step toward a better public understanding of our even darker nights. Thank you so much. .........Steven LaChance/Author/The Uninvited. Great job everyone. very disturbing and creepy. please go back to zombie rd. for another doc. there is enough going on there for a long film. good luck booth bros. WONDERFUL WORK!!!!!! also your doc. on the children of the grave was just top notch. my mother remembers those train going thru Woodward ok. when she was a child. so sad. keep them coming gentlemen. OMG! I was blown away by Children of the grave. It's the best documentary i've ever saw.Of course also cryed my eyes out. hi huge fan my son is autistic and loves your show hes 6. he see ghosts daily so it doesnt scare him add us again huge fan. The Brothers Grimm told fairy tales and it scared kids. The Brothers Booth tell real ghost stories and it scares EVERYBODY. You won't find a better paranormal documentary..........Terra King, Las Vegas Film Examiner. Thanks for the add, Loved Spooked and Children of the Grave. Looking forward to The Possessed. I saw the trailer for it at the Indy Para Con and it looks awesome ! Hi guys, Your documentary on the Waverly Hills was well done...Excellent from start to finish! next year (can not wait ) when they are available to start booking investigations in January 2010.
the end of 2009 per their website. it and the approach you then took to film it all. That goes for keith too. Loved the Possessed tonight.....as a "real" ghost hunter/medium, I found it interesting and informative. It was one of the first times, I have seen a program show some of the various equipment we use and explain how it works. Loved all the historic info and background. I just watched Possessed on SyFy. I am from Long Beach, CA and I have spent a lot of time in Sunnyside Cemetery. I never knew about Lurancy Vennum's paranormal history until I saw this show. It is amazing, because I have heard of things happening there and surrounding that particular grave. I took photos there once alone and kept feeling that I was missing something. I walked and walked over by the Japanese graves and the weeping angel but, I still felt like I was missing something. When I left I kept hearing a girl's voice in my head saying "tell my story", but I didn't know what it could be about. Later, one of my clients became a docent for the historical society and did an event at Sunnyside for tours. She was dressed in vintage clothes and was supposed to be one of the founders of Willmore City, which is what Long Beach was originally called. She told me that all day long she kept hearing a little girl saying "tell my story". I had never spoken to her about my experience there and I am wondering if you have heard of anyone else having a similar experience? I very much enjoyed the film you have made with the Booths. They are very stylish and interesting and I hope you continue to produce such works. im currently living with my wifes parents in Northern Ohio. Her parents are part of a Paranormal Society called Toledo Ohio Paranormal Society (T.O.P.S), and last night her father (one of the founders of T.O.P.S), and I had the pleasure of watching both of your shows last night. Children of the Grave and The Possessed, and i would just like to say both shows were excellent. Great history behind the locations, great evidence, footage and E.V.P's. But i would like to say that it was Children of the Grave that held my attention more, throughout the entire show both my father in law and I were scratching our heads, talking about the footage taken, the evidence, and the E.V.P's recorded. One thing both of us loved is how you explain in the show that when and if you catch something on a thermal camera, that it will be colder then the air around it, and for us both this information has been a little confusing for us in the past with T.A.P.S always saying that its cold or heat signatures. After both shows we sat around talking a few minutes afterwards of what we had seen and heard and one thing we were both kind of skeptical on was the image of all the shadow children figures on the hill, and finally at the end of the show something caught my eye that made me actually believe that this image was in fact real. I had noticed the lake/pond at the bottom of the image and if the photo was a fake, the kid's reflection would be in the water, but their reflection is not, so now i totally believe what i'm seeing in the photo. Once again, both shows were top dog A+ documentaries in my eyes and totally blow Ghost Hunters out of the ball park. I hope to see more from your group. 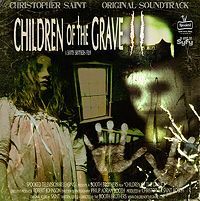 SPOOKED TV NEWS: SyFy Channel - 31 Days Of Halloween para-horror double feature with the Booth Brother's 'The Possessed' & 'Children Of the Grave.